Without sifting, combine the flour, baking powder, salt, zest, walnuts, raisins, and cranberries in a large mixing bowl. Puree bananas in a blender with orange juice, vanilla, oil and maple syrup. Stir into mixing bowl. Oil cake pan with one tablespoon of oil. Pour batter into the cake pan. Stick a toothpick in the cake to check for done-ness. If it is still wet, turn off the oven and let it cake sit in the oven for about 10 minutes. 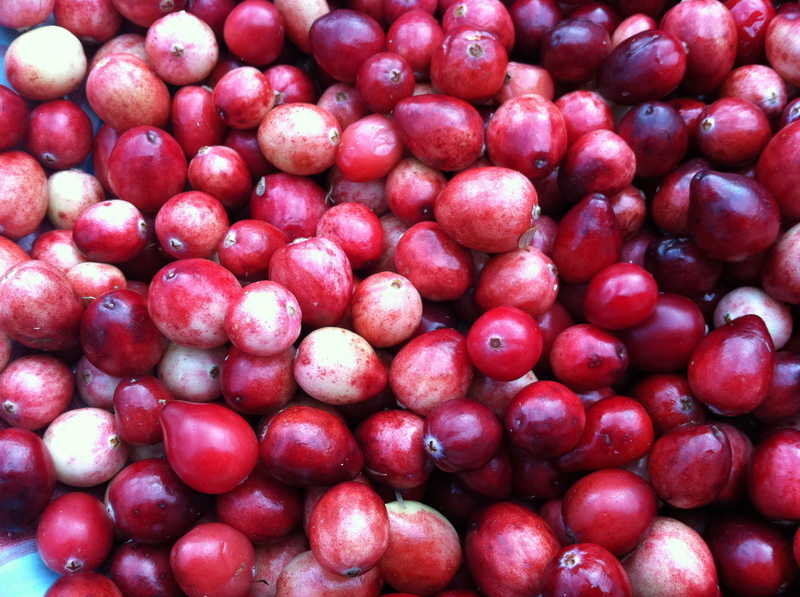 Since there are so many cranberries, the cake may need just a little extra time to sit to dry out a little.